A week ago, the hubby and I were researching online individually for a place for today's lunch. And we shared this place with one another, without looking at one's screen. Cool eh? So we have to try out this place! We forgot to place a reservation earlier on, and we tried to make one when they opened at 12 noon. We were told that they do not take reservations. A little worried that the place may be crowded with lunch crowd, but still we headed there excitedly. 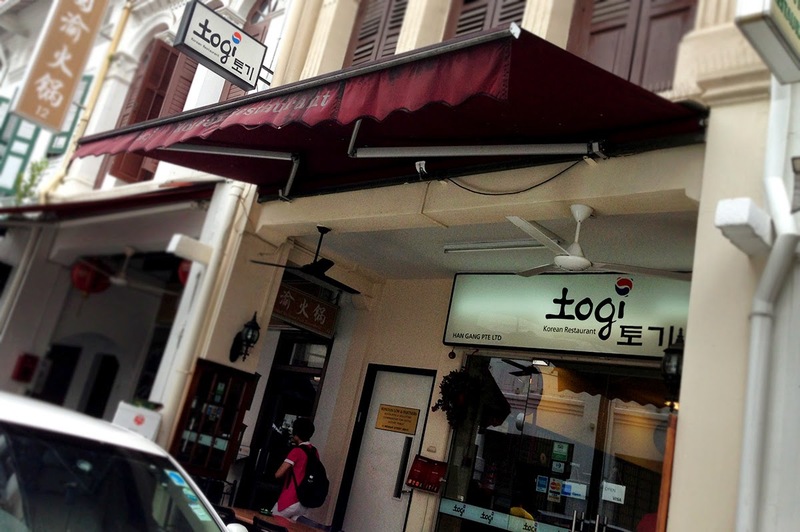 Located in Chinatown, in the middle of Mosque Street, this cozy Togi Korean Restaurant serves authentic Korean cuisine, based on online raving reviews. We were feeling pretty lucky that there were still empty tables for us. 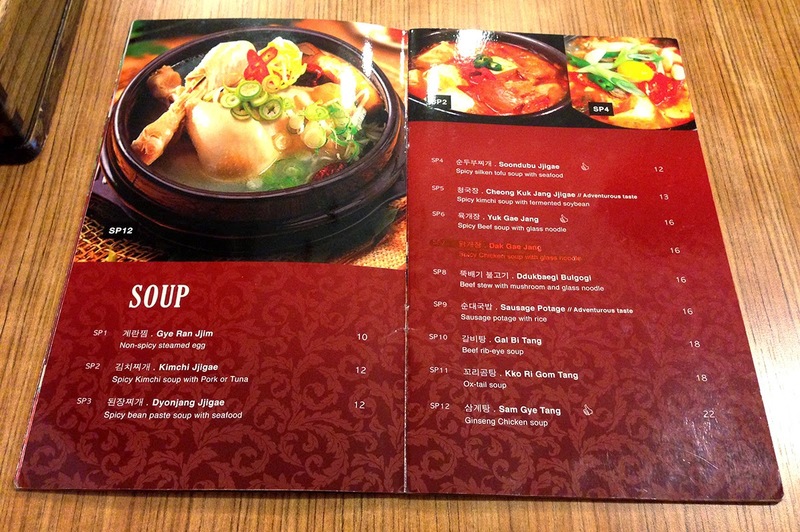 The restaurant is not very crowded, but it is bustling with activities from the existing customers. We were greeted by the staff and given the menu for ordering. 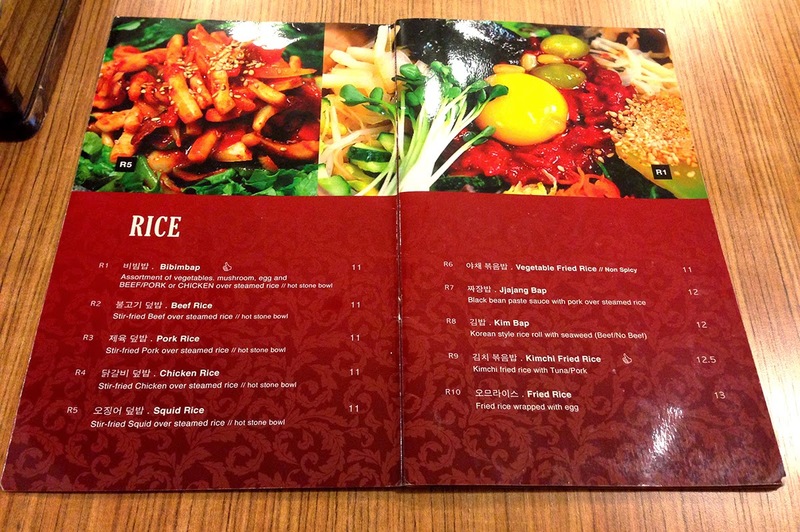 The menu: If only there were more pictures. 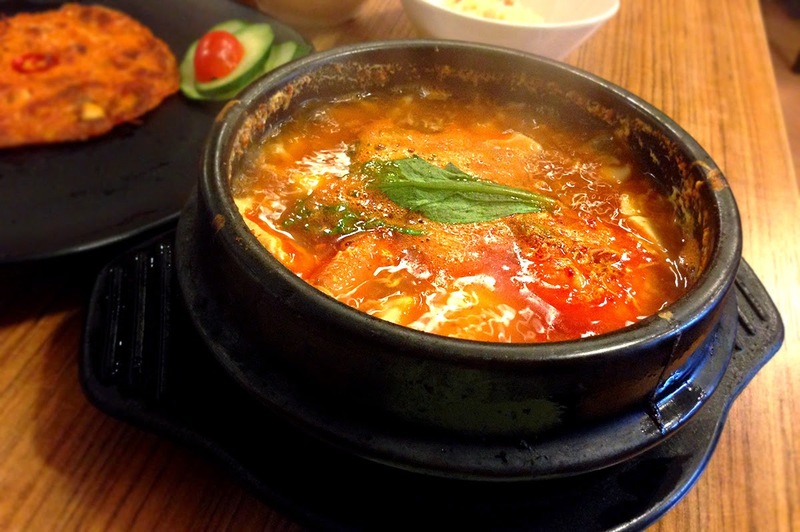 I seldom eat Korean as I always think that Korean food is very spicy and would be too hot for me to handle. So pictures play a very important part when I can "see" what I am going to order. 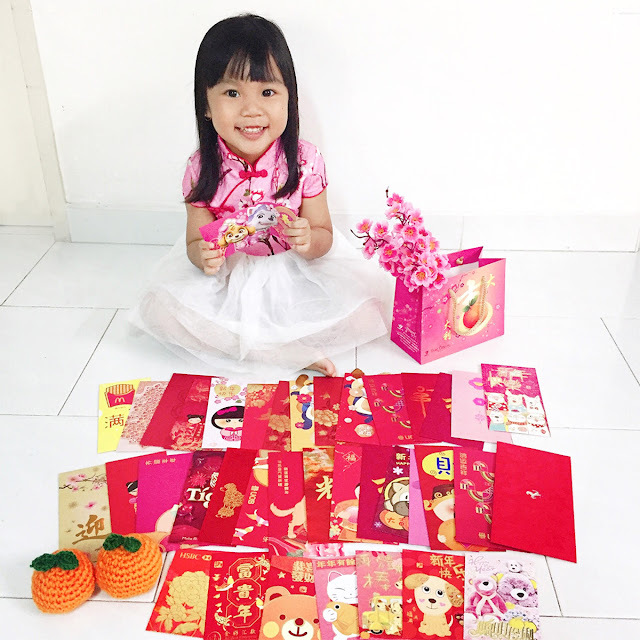 After taking some time to decide on our order, we placed our orders and shortly after, our tables were set (with wet tissues, bowls and plates, depending on what we ordered), together with some side dishes. 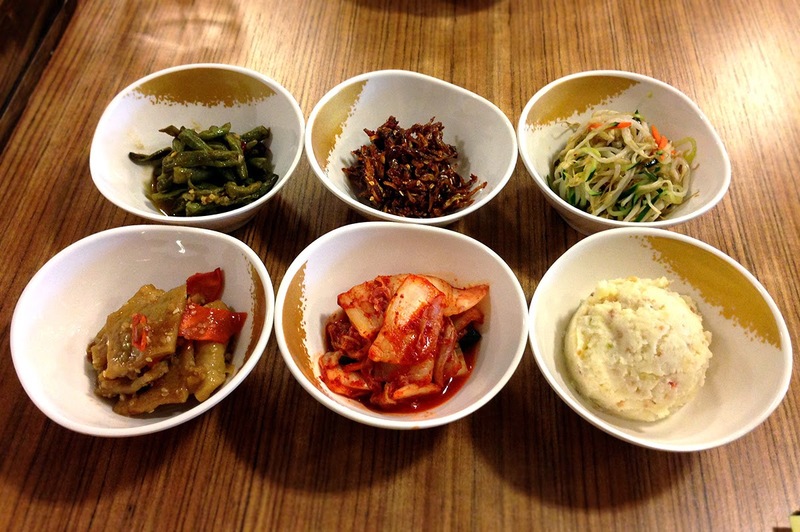 Every table comes with these six side dishes which are refillable upon request. The lady boss even came to our table, smiling and asking if we need any top up for the side dishes. 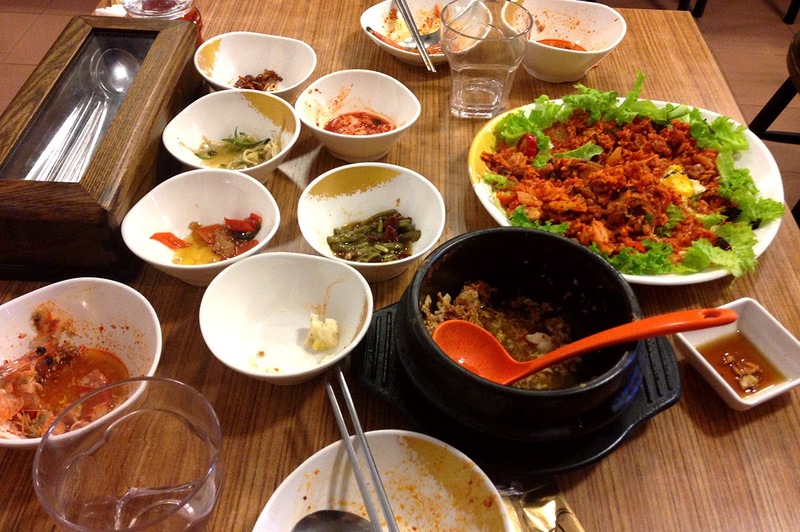 All the side dishes were delicious, making me anticipate whether our mains would be just as delicious. I love the bottom left and right side dishes the most. Not sure what's the bottom left side dish, could be potato with carrot marinated in some sweet sauce. The bottom right is mashed potato with crushed peanuts, love the soft and crunchy texture. We love pancakes (based on previous Korean dining experience, though not all were yummy-delicious, but it would not go that wrong). 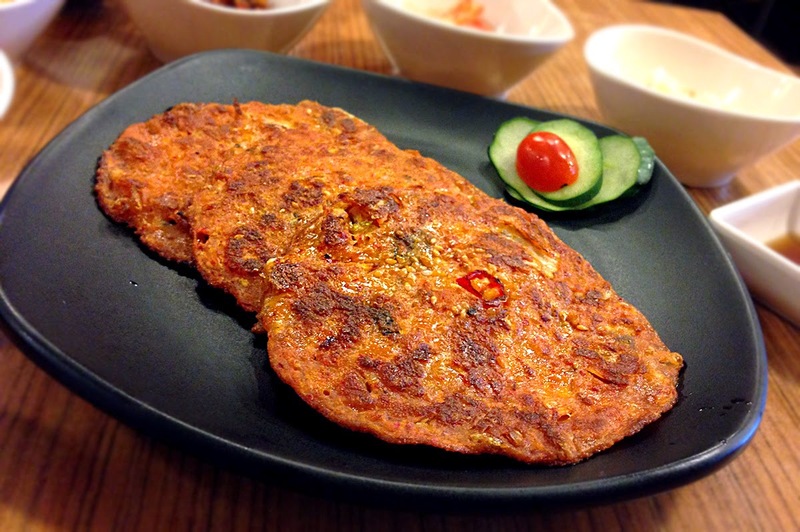 We had the small portion of the kimchi pancake with seafood, which is a 3 piece pancakes. This comes in large portion for $12.00. Taste delicious, but I am unable to really taste what are in the pancakes, maybe they chopped up everything too finely? Nevertheless, we liked this. Although the soup looks like a one person portion, but it is just nice for the both of us. Very spicy and hot from the kitchen, the soup consists of toufu, two big prawns and quite a number of squid pieces. Maybe if there is a little more soup would be better. The bowl looks like most of the soup had evaporated and spilt over. Mid bowl, we had more ingredients than soup. Delicious but too spicy for us. The hubby and I were shocked at the portion of the rice. It looks like a huge plate. Even the egg was a surprise as it's not in the description. The plating looks colourful and appetising. 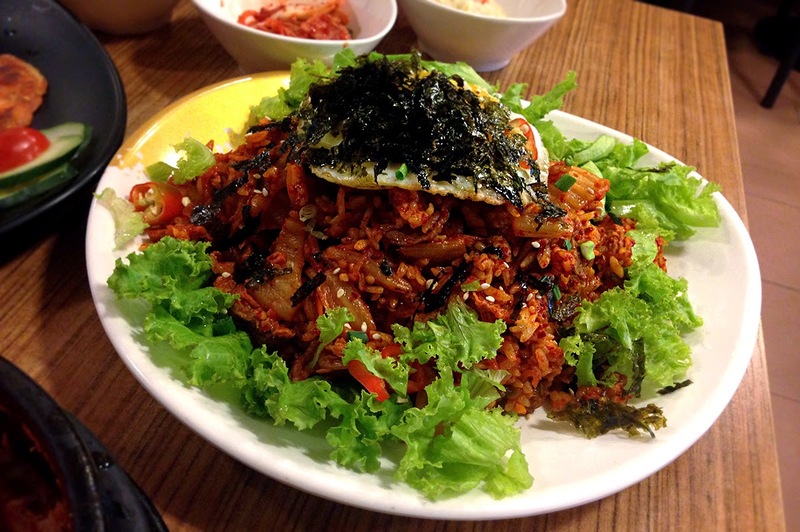 Upon future digging into the huge plate of fried rice, I came to the conclusion that although it looks alot, the rice portion is amplified with the generous amount of kimchi and pork slices. Delicious, but it was too spicy for us (again). And by this time, both of us were very full (not sure why). We did not managed to finish this plate of rice. Guess we ordered too much? But we only ordered one rice, one soup and one pancake and we were ravenously hungry before we stepped into the restaurant. And yet we were unable to finish the fried rice, and we did not even ask for any refill for the side dishes. Maybe it's the spiciness? The hubby and I are not that good in handling spicy food. The total bill came up to $38.00 for two person, including 2 mineral bottled waters ($1.00 each), 7% GST and 10% Service charge. The wet tissues were free. 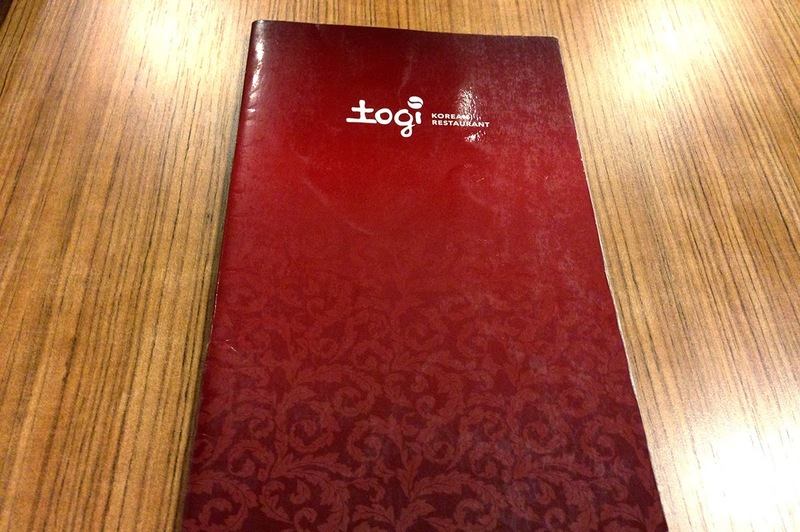 We will definitely be back here again to try out the other dishes.